House Unreleased Poster - Season 6. . Wallpaper and background images in the Dr. House club tagged: house season 6 md photoshoot poster hugh laurie 2009. 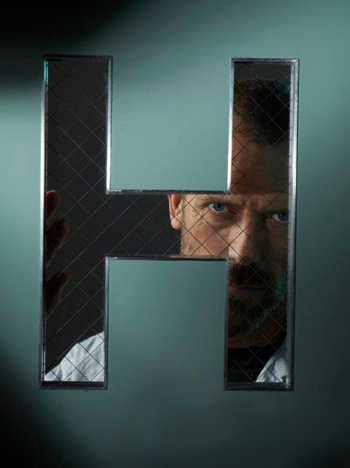 This Dr. House photo contains maschendrahtzaun and kettenglied. There might also be zeichen, plakat, text, tafel, schilder, and poster.